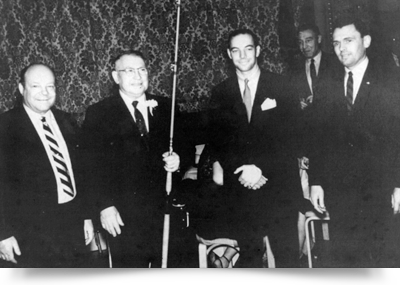 We are proud of our history as one of Chicago’s oldest general contracting firms. In over 125 years of working with clients on general contracting and construction management projects, Miner & East has had the opportunity to reflect on what defines service in our industry. Flexibility, timeliness, technical skill, and competitive pricing are the elements clients expect…and the elements Miner & East delivers. Just as important are the energy, enthusiasm, and understanding of each client’s needs and objectives that Miner & East brings to any construction project. 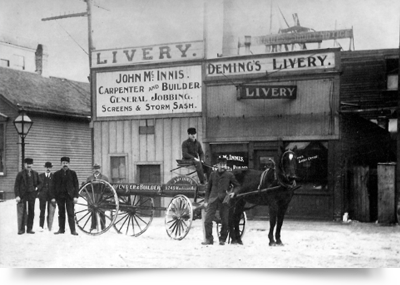 The roots of Miner & East date back to the original firm – John McInnis – Carpenter & Builder founded in 1892. 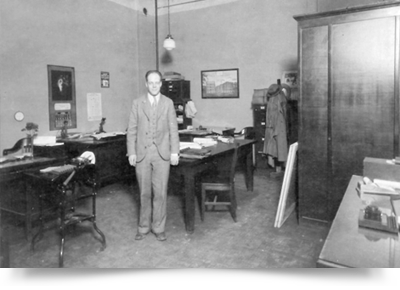 Founder John McInnis operated the business in the early 1900’s along with two superintendents, John E. Miner and Arvid East. When John McInnis retired, John Miner and Arvid East formed Miner & East. 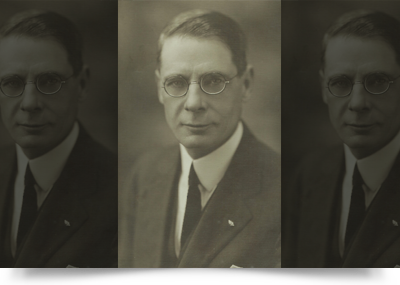 Following his graduation from the University of Chicago, John J. McInnis (the founder’s son) joined the firm and became a partner in 1926 with Arvid East after Mr. East bought out Miner’s shares in the early 1920’s. Miner & East incorporated in 1932 and was operated by Arvid East and John J. McInnis for many years. 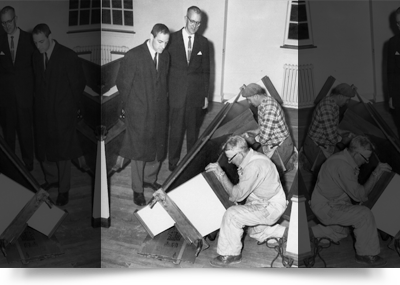 Following his service as a Marine in the Pacific Theater during World War II Sanford (Sandy) J. Dowell joined the firm in 1949. 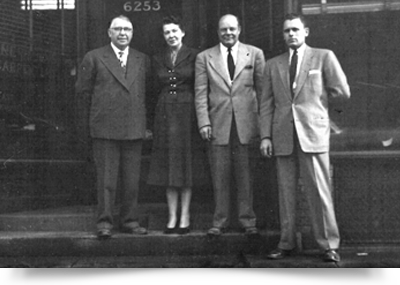 Following his graduation from University of Pennsylvania and Marine Military Service, John (Jack) W. McInnis (grandson of founder John J. McInnis) joined the company in 1955. Both became partners with Arvid East and John J. McInnis. 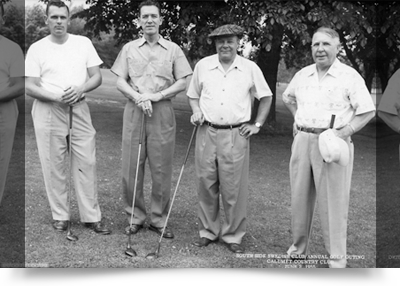 Arvid East retired in 1960 followed by John J. McInnis. 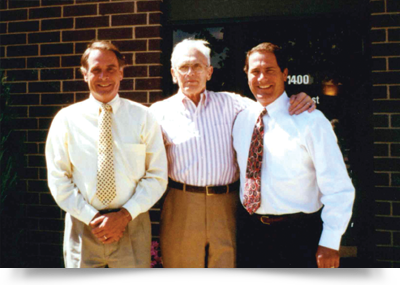 Sandy Dowell and Jack McInnis operated the business as partners through the 1960’s and 1970’s. Michael S. Dowell (son of Sandy Dowell) began his career with Miner & East in the late 1960’s following his graduation from Monmouth College. Daniel J. Dowell (second son of Sandy Dowell) joined the firm in the early 1970’s after his graduation from the University of Arizona. Sandy Dowell retired in 1983 as president after 34 years with the firm. Jack McInnis retired in 2005 as chairman of the firm after 50 years with the company. Mike Dowell passed away in 2005 after a heroic 5-year battle with cancer and 38 years with Miner & East. In 2002 Christopher S. Dowell (son of Dan Dowell and grandson of Sandy Dowell) joined the firm after graduating from the University of Kansas. 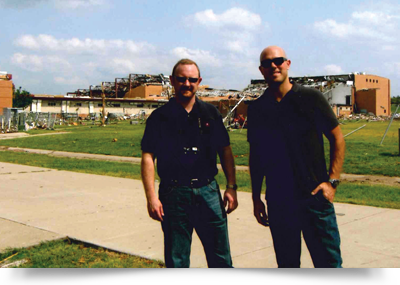 Eric D. Koertge came to Miner & East in 2005 after graduating from the University of Illinois and 7 years with W.E. O’Neil Construction Company, a major Chicago area General Contractor. In 2012 Miner & East separated the consulting arm of the firm and formed Miner & East LLC. Daniel J. Dowell presently serves as owner and president of Miner & East, Inc. General Contractors along with Christopher S. Dowell as Executive Vice President and Eric Koertge as Vice President. Daniel J. Dowell, Christopher S. Dowell and Eric Koertge are principal owners of Miner & East LLC, Construction Consultants.